desert diva : Beautiful day ! 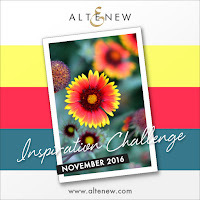 Have you seen the beautiful inspiration photo for November on the Altenew blog? A lovely bright red-orange and yellow flower with blue-green leaves, so pretty! I used the colors in the picture, as well as the fact that the focus is only on one of the flowers . I stamped the background with the outline of the large flower, and added one flower stamped with the 3 layering options. I added 2 leaves and one of the sentiments to finish off the card. 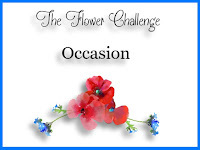 I also want to add my link to The flower challenge ~ Occasion. Love the contrast of the b/w with the dazzling color! So gorgeous, Hannelie! I must remember that colour combo you used for the flower. Thanks for sharing it! Hello Hannelie: I adore this card, the way you spotlighted this gorgeous flower is amazing. Love the bright, vibrant colors you used. 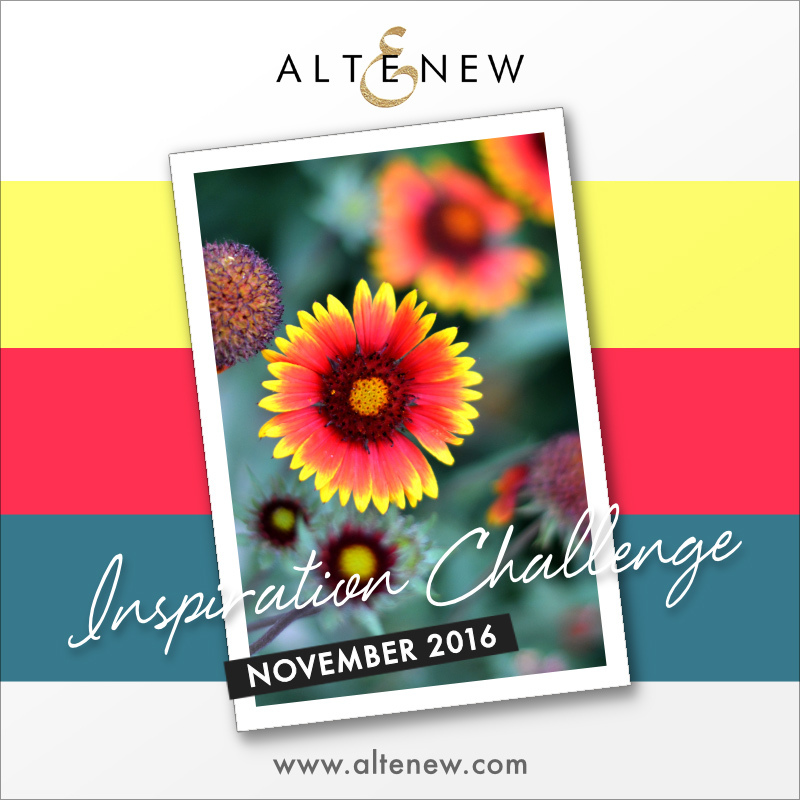 Thank you for sharing with us at THE FLOWER CHALLENGE, hope you join us again soon. Gorgeous card, Hannilie. I love your coloring on the beautiful flower and appreciate the list of inks you used. Have a great day. I love how you stamped the bkg flowers then just coloured one of them...so gorgeous mf. Thanks so much for playing along with The Flower Challenge! Hope to see you again. What a gorgeous card....love your beautiful coloring! Your flower is just stunning. The contrast of your beautifully colored flower and the black and white line art flowers is fabulous! Your cards almost always seem to have an element that grabs our attention. Love that! Thanks for reminding me of this challenge. I saved the photo and planned to make a card so I'd better get busy. Yours is fantastic, Hannelie. I love the vibrancy of your coloring. WOW!!! That colored flower is absolutely energetic and cheerful. Love the idea of B/W background. Gorgeous card !! Love the colors ! Beautiful bloom ! Perfect take of the Inspiration photo ! I love how this bright flower pops up among the black outlined ones ! Thanks for sharing. Oh you are KILLING ME!! I LOVE that flower with the orange!! I was not going to get this set but I might have to now!! Your big flower is so beautiful on the black and white background. What a stunner! The free digital stamps provided on this blog were created using free fonts which are not intended for commercial use.These fonts (and sentiments created using it), are therefore intended only for personal use and not to create an income. Not sure what 'personal use' & 'commercial use' means ?